In May, major environmental organisations (2) launched the ‘Nature Alert’ campaign (3) in response to the EU Commission’s suggestion to evaluate whether the existing EU nature laws should be changed. The campaign makes the case for improved implementation and enforcement of existing rules set out by the laws - known as the Birds and Habitats Directives. 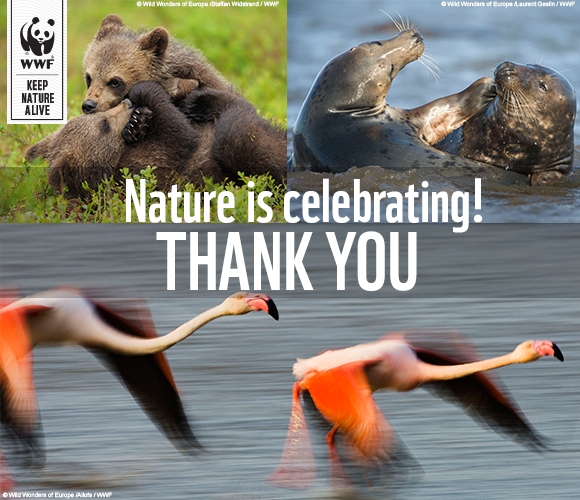 Alongside more than half a million citizens, over 120 environmental NGOs have sent a clear message to European decision makers: EU nature laws should not be changed. The laws protect over 1,000 key species and over 27,000 natural sites in Europe. They have been credited with saving a number of iconic species native to Europe such as the Grey Wolf, the White-Tailed Eagle and the Common Seal (4). As a result, the EU is now home to the world’s largest network of protected areas, Natura 2000, which covers almost a fifth of the EU’s land. Scientific evidence shows (5) that the laws effectively protect key endangered species and threatened habitats, and contribute to the socio-economic development of local communities and regions. In parallel with the public consultation (6), the Commission has consulted with a wide range of stakeholders including national authorities, land users, the business community and environmental NGOs. The vast majority of evidence submitted supports the Directives and points at the need for better implementation and enforcement and for increased funding for conservation. Very few stakeholders have called into question the Directives in their current form and requested a revision of the laws, essentially: some players in the farming sector, the association of private forest owners and the industrial fishing lobby. At the other end of the spectrum strong support for the Directives has been expressed by other businesses, notably: the Cement industry, Electricity grid operators, Organic farming and Tourism. (1) The consultation has been the only chance for the public to have their say during the technical evaluation. The process of reviewing the Nature Directives began in January 2015 and will take more than a year to complete. In a few months the campaign has generated an unprecedented public response: over 50,000 tweets were sent to Vice President Timmermans and the EU Environment Commissioner Vella to defend these laws. The directives are currently under review as part of wider efforts by the Commission to make sure European legislations are fit for purpose. 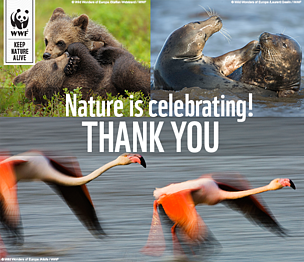 (2) BirdLife, the European Environmental Bureau, Friends of the Earth Europe and WWF. There is a huge disaster in farmland, shown by an extensive body of evidence. The Directives have revolutionised nature conservation in Europe – they increased the area of protected areas from 8 to 18%. The Directives have helped saving places such as the Rospuda Valley in Poland and the Kresna Gorge in Bulgaria. There is extensive evidence that the Directives generate huge benefits for minimal costs. It is estimated that the Natura 2000 network generates 200-300 billion EUR worth of benefits every year. Every Euro invested in Natura 2000 generates around seven times more jobs than a Euro invested in the Common Agricultural Policy. The environmental legislation in the EU as a whole generates less than 1% of administrative burden. The real problem is a lack of enforcement and a lack of funding for this high quality legislation. Only 20% of the funding needs are currently met. Several dozens of sites have been destroyed, with authorities doing nothing. Especially heavy problems with all kind of works in Italy and with grassland destruction in Germany. Strong support for the directives and calls for better implementation, tougher enforcement and increased funding have been expressed by all conservation NGOs, which have also highlighted a range of nature protection issues, notably the consistent failure of the Common Agriculture Policy to support biodiversity conservation. Strong support for the directives has also been expressed in several submissions to the Commission from the electricity grid sector, the Cement industry, tourism industry and financial investors. German farm, forestry, landowners and hunting lobbies have run an e-action calling for the dismantling of EU nature conservation legislation http://natura2000.forum-natur.de/. Most submissions (industry associations, port authorities, energy sector, fishing business, public and municipal forestry and hunters) have not called into question the Directives legal framework but pointed out to a range of implementation problems calling for better consultation with stakeholders, better guidance, improved funding, better knowledge base and improved monitoring and management of sites by public authorities etc.